Remember the girl Ted gave credits for helping him get back in the game after Stella stood him up at the altar in the 9th episode of season four of the U.S sitcom How I Met Your Mother titled The Naked Man? Well, that girl was Vicky played by none other than Courtney Ford. Courtney is popular for playing other TV roles such as on the crime series Dexter where she played Christine Hil, on True Blood where she portrayed Portia Bellefleur. She was Kate Taylor on Revenge, Tonia Pyne on Murder in the First and Nora Darhk on Legends of Tomorrow. Her other TV series include Lily on Parenthood, Supernatural, Kept Woman, etc. She also starred in an episode of Season Five of The Big Bang Theory, alongside Kaley Cuoco. Who Is Courtney Ford From How I Met Your Mother? Ford was born in Huntington Beach, California on the 27th of June 1978. The actress is secretive, thus, there is almost nothing known about her parents, siblings and early life. However, there is an information about her roots. The actress is said to be of Hispanic heritage from her maternal family which has roots in the state of New Mexico before its admission to the Union. She is also said to be a stepsister to Mexican-American film and TV producer and screenwriter Roberto Orci. Courtney Ford has always been in love with acting and was involved in acting locally in her hometown before she decided to move to Los Angeles to pursue an acting career on a bigger scale. She would describe her first ten years in the industry as stagnant but she kept faith alive and refused to give up until fate smiled on her. After an audition for Showtime’s television series Dexter, she was cast as reporter Christine Hill. The role brought her to the spotlight, earned her rave reviews and a huge fan base and also brought several other roles her way. Her ability to take on both comedic and dramatic roles set her career in motion and made her shine in the industry. She appeared in the 9th episode of season four of the U.S sitcom How I Met Your Mother titled The Naked Man as Vicky – the girl Ted gave credits for helping him get back in the game after Stella stood him up at the altar. She also starred alongside Kaley Cuoco in an episode of Season Five of The Big Bang Theory. 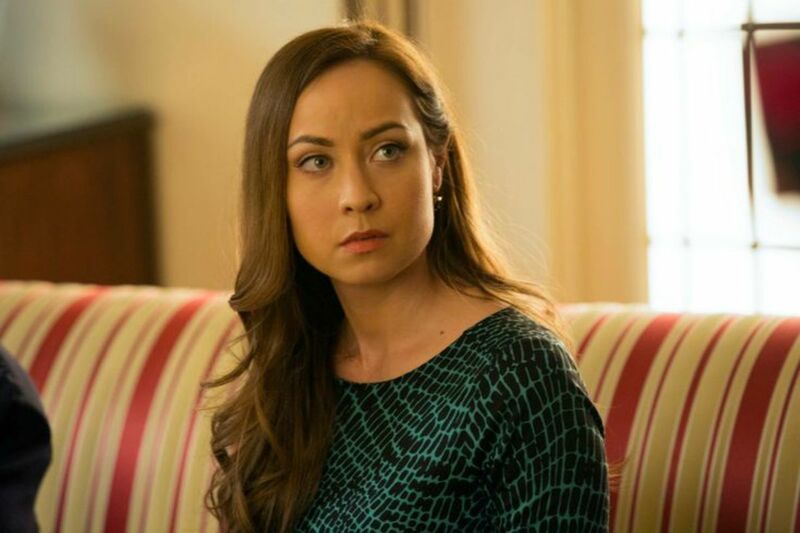 Courtney Ford starred in several other hit shows such as Grey’s Anatomy, CSI: NY, Criminal Minds, Hawaii Five-0, Murder In The First, Revenge, Parenthood, Supernatural, Kept Woman, etc. She has also appeared in a couple of featured movies such as Fling, Alien Raiders, Missing William, Denial, and Sironia. For playing Sterling in the 2008 Sci-Fi Thriller, Alien Raiders, Ford received ShockerFest’s Best Actress award. Ford showed her versatility in voice acting too; she voiced Maria Santiago – the lost wife of the character “Dom” in the game series Gears of War. She also voiced Piper Wright – the potential companion and the Editor-in-Chief of Diamond City’s newspaper, Publick Occurrences in Fallout 4. The actress is married to U.S actor Brandon Routh, who is also well known for starring in several TV series including Gilmore Girls. After dating for three years, the couple got engaged in August 2006 and tied the knot in November 2007 at El Capitan Ranch, Santa Barbara. They welcomed their first child Leo James Routh in August 2012. She currently lives in Los Angeles with her family. She and her husband are both active members and activists for Service Nation. Courtney’s net worth is estimated at $4 million which are earnings from her acting career. Her worth will definitely increase in a few years from now. Ford trained The Strasberg Method and The Improv Underground. She studied alongside Lesly Kahn and Andrew Magarian. She stands at a height of 5ft 6 inches (1.68 m) and weighs 55 kg.